Former N.F.L. 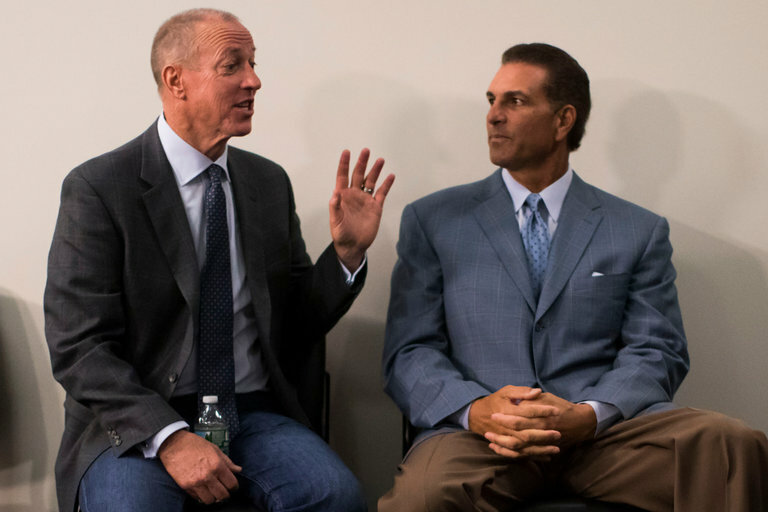 quarterbacks Jim Kelly, left, and Vinny Testaverde spoke in favor of fantasy sports on Tuesday in Albany. ALBANY — Months after being halted by the New York attorney general, daily fantasy sports won a major victory early Saturday as state lawmakers moved to legalize the online games. Gov. Andrew M. Cuomo, a Democrat, has not yet indicated that he will sign the bill, but the final legislation included proposed modifications from his staff, suggesting at least some degree of support. Eric T. Schneiderman, the attorney general who first declared war on the industry last fall, declaring fantasy sports to be illegal gambling, had laid the groundwork for a deal in March when he suggested a June 30 deadline for the Legislature to act to address the games’ legal status. Will Chargers bolt for L.A. if stadium bid fails?